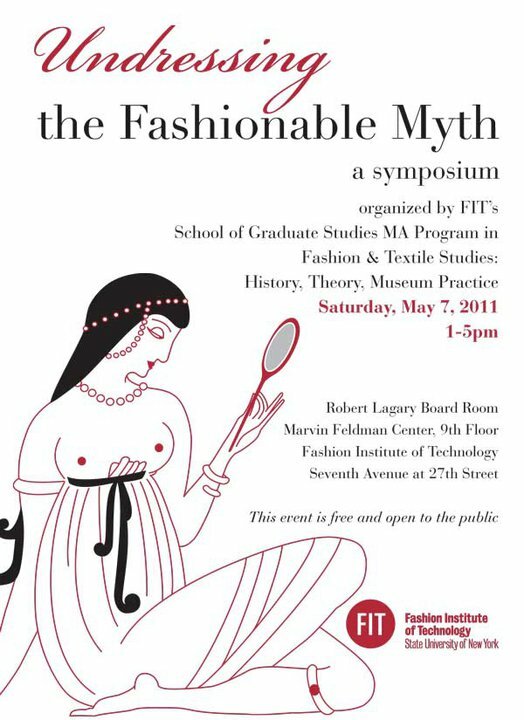 Don’t forget to attend the Fashion & Textile Studies graduate student symposium this Saturday, May 7 from 1-5pm! 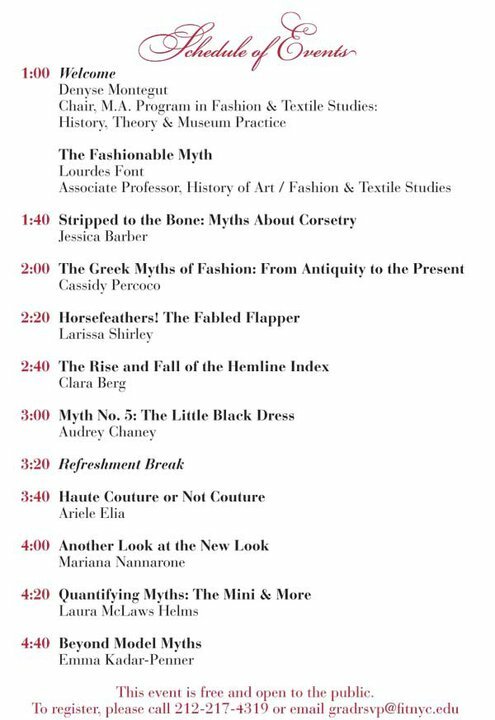 Students will be questioning, investigating, and debunking some of fashion history’s longest-held myths. The symposium is free and you don’t want to miss it!